Fabio Gramazio is an architect with multi-disciplinary interests ranging from computational design and robotic fabrication to material innovation. In 2000, he founded the architecture practice Gramazio & Kohler in conjunction with his partner Matthias Kohler, where numerous award-wining designs have been realised. Current projects include the design of the Empa NEST research platform, a future living and working laboratory for sustainable building construction. Opening also the world’s first architectural robotic laboratory at ETH Zurich, Gramazio & Kohler’s research has been formative in the field of digital architecture, setting precedence and de facto creating a new research field merging advanced architectural design and additive fabrication processes through the customised use of industrial robots. This ranges from 1:1 prototype installations to the design of robotically fabricated high-rises. The recent research is outlined and theoretically framed in the book The Robotic Touch: How Robots Change Architecture (Park Books, 2014). Matthias Kohler is an architect with multi-disciplinary interests ranging from computational design and robotic fabrication to material innovation. In 2000, he founded the architecture practice Gramazio & Kohler in conjunction with his partner Fabio Gramazio, where numerous award-wining designs have been realised. Current projects include the design of the Empa NEST research platform, a future living and working laboratory for sustainable building construction. Opening also the world’s first architectural robotic laboratory at ETH Zurich, Gramazio & Kohler’s research has been formative in the field of digital architecture, setting precedence and de facto creating a new research field merging advanced architectural design and additive fabrication processes through the customised use of industrial robots. This ranges from 1:1 prototype installations to the design of robotically fabricated high-rises. The recent research is outlined and theoretically framed in the book The Robotic Touch: How Robots Change Architecture (Park Books, 2014). Philippe Block is Associate Professor at the Institute of Technology in Architecture at ETH Zurich, where he co-directs the Block Research Group (BRG) together with Dr. Tom Van Mele. 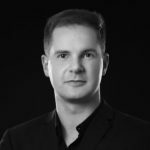 He is director of the Swiss National Centre of Competence in Research (NCCR) in Digital Fabrication, and founding partner of Ochsendorf DeJong & Block (ODB Engineering). Block studied architecture and structural engineering at the VUB, Belgium, and at MIT, USA, where he earned his PhD in 2009. Research at the BRG focuses on equilibrium analysis, computational form finding, optimisation and construction of curved surface structures, specialising in unreinforced masonry vaults and concrete shells. Within the NCCR, BRG researchers develop innovative structurally informed bespoke prefabrication strategies and novel construction paradigms employing digital and robotic fabrication. With BRG and ODB Engineering, Block applies his research into practice on the structural assessment of historic monuments and the design and engineering of novel compression structures. Kendra Byrne is a hybrid designer and technologist at heart with proven chops incubating innovative products and concept applications. Kendra leads software and design teams to build tools that empower people to do things they thought they never thought possible and to create experiences that incite the imagination. As a respected voice on creative applications of robotics, Kendra has been invited to speak internationally on her experiences with robotics in film, entertainment, and digital fabrication. 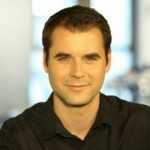 Marco Hutter is assistant professor for Robotic Systems at ETH Zurich since 2015 and Branco Weiss Fellow since 2014. Before this, he was deputy director and group leader in the field of legged robotics at the Autonomous Systems Lab at ETH Zurich. After studying mechanical engineering, he conducted his doctoral degree in robotics at ETH with focus on design, actuation, and control of dynamic legged robotic systems. Beside his commitment within the National Centre of Competence in Research (NCCR) Digital Fabrication since October 2015 Hutter is part of the NCCR robotics and coordinator of several research projects, industrial collaborations, and international competitions (e.g. ARGOS challenge) that target the application of high-mobile autonomous vehicles in challenging environments such as for search and rescue, industrial inspection, or construction operation. His research interests lie in the development of novel machines and actuation concepts together with the underlying control, planning, and optimization algorithms for locomotion and manipulation. Tim Schork co-founded the transdisciplinary design practice Mesne Design Studio and he is currently an Associate Professor at the University of Technology Sydney, School of Architecture. 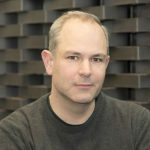 He received his PhD from RMIT University in 2013 for his research on the transformative effects and contributory role of integrative computational design strategies on the practices of architecture. His research investigates the progressive integration of computational design and simulation techniques with contemporary digital fabrication processes and material technology in terms of their architectonic, constructive, economic and ecological potential. His research focuses primarily on novel design, construction and building processes, materials as well as customised production and digital fabrication. Internationally renowned for his design excellence and explorative, creative and innovative work, his research links diverse disciplines, researchers, institutions and places and combines a sophisticated design philosophy with advanced technology in order to create novel design solutions that address contemporary social and cultural agendas. 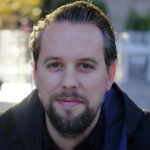 Jan Willmann is Assistant Professor of the Theory and History of Design at the Bauhaus-Universität Weimar. 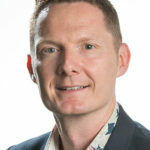 He joined the Faculty of Art and Design in 2016, teaching courses in the theory and history of design, cultural history, and the history of media and information technology. Jan Willmann has played an important role in the theory of digital design and fabrication and his work is internationally known. His research and publications have focused on the areas of digital technology in architecture and its history as well as on theoretical issues in contemporary design and material practices. He has published on the work of protagonists such as Gottfried Semper, Walter Gropius, and Frei Otto as well as contemporary figures such as Zaha Hadid, Lars Spuybroek and Greg Lynn, and the recent work of Fabio Gramazio and Matthias Kohler. Jan Willmann co-founded the online platform architecturaltheory.eu, which is a leading forum of discussion of architectural theory in Europe. His essays and articles have been published in various journals, including AD/Architectural Design, GAM, Arquitectura Viva, 3D Printing and Additive Manufacturing, The Architectural Review, T&A, IEEE, Elsevier, IJAC and DETAIL. Together with Fabio Gramazio and Matthias Kohler he has published in particular The Robotic Touch – How Robots Change Architecture (2014), offering a comprehensive overview of the changes brought by robotic fabrication to the theory and practice of architecture. 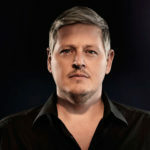 Jan Willmann received a Bachelor of Architecture degree from Liechtenstein University, a Master of Architecture degree from Oxford Brookes University, and the Doctor of Philosophy in Technology from Innsbruck University. Romana Rust is an architect and a researcher. She holds a degree in architecture from Graz University of Technology and graduated 2012 with honours. Her diploma thesis, which she developed in cooperation with Kathrin Dörfler, was awarded at both the GAD Awards 2012 and archdiploma’13. 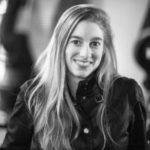 Since 2013 she is working at Gramazio Kohler Research, ETH Zurich, where she completed her Ph.D. in 2017 and is working as postdoctoral fellow since then. She has led several workshops and her research has been published in multiple international conferences. Her particular interest is the development of innovative computational approaches that integrate design, materiality and fabrication. 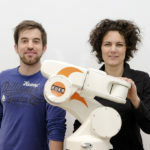 Sigrid Brell-Cokcan and Johannes Braumann founded the Association for Robots in Architecture in 2010 with the goal of making industrial robots accessible to the creative industry. Towards that goal, the Association is developing innovative software tools such as KUKA|prc (parametric robot control) and initialized the Rob|Arch conference series on robotic fabrication in architecture, art, and design which –following Vienna in 2012, Ann Arbor in 2014, and Sydney in 2016 – will be held 2018 in Zurich. Robots in Architecture is a KUKA System Partner and has been validated as a research institution by national and international research agencies such as the European Union’s FP7 program. Just recently, Sigrid founded the new chair for Individualized Production in Architecture at RWTH Aachen University. After founding the new Topic Group on Construction Robotics and the Springer Journal on Construction Robotics in 2018 Sigrid has been elected to serve the board of directors of euRobotics AISBL, an international non-profit association for all stakeholders in European robotics. Johannes is heading the department for Creative Robotics at UfG Linz and leading the development of KUKA|prc. Their work has been widely published in peer reviewed scientific journals, international proceedings, and books, as well as being featured in formats such as Wired, Gizmodo, Süddeutsche Zeitung, and RBR. 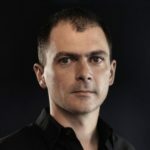 Russell Loveridge is Managing Director of the NCCR Digital Fabrication. He studied civil engineering and architecture, completed his professional Bachelors degree in Toronto, Canada, his MAS Diploma in Architecture at ETH Zurich, and obtained his doctorate at the EPF Lausanne. He has worked professionally in construction and architecture, but also has extensive experience academics and was previously the Research Director at the Laboratory for Architectural Production (LAPA) at the EPFL. His research investigates advanced fabrication methods, smart materials, and novel construction techniques all with a specific interest on how these emerging technologies affect processes of design. As the Managing Director for the Swiss National Centre of Competence in Research (NCCR) Digital Fabrication, he directs a national multidisciplinary research initiative which combines research and innovation in the fields of architecture, structural design, electrical engineering, mechanical engineering, material and computer science. Orkun Kasap studied architecture in Turkey, Denmark and Switzerland between 2004-2012. After receiving his BSc in Architecture with distinction from Kocaeli University (Turkey) in 2008, he worked in architectural practices such as Emre Arolat Architects, Istanbul, and EM2N, Zurich. He also collaborated in a number of projects for architectural design competitions and was awarded with several prizes. After receiving his Diploma in Architecture from ETH Zurich in 2012, he joined the Chair of Architecture and Digital Fabrication at ETH Zurich and assisted the FABRICATE 2014 Conference organisation and publication. 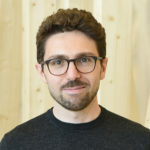 Orkun Kasap joined the NCCR Digital Fabrication during its foundation stage in 2014 as an assistant and continues to work as a research and management assistant. 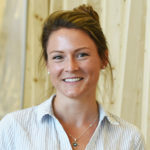 Coming from a background in life sciences, Kaitlin McNally obtained her PhD in Science and Policy from the University of Zürich. 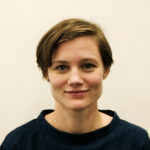 She joined the NCCR Digital Fabrication at ETH Zurich as the Policy and Project Coordinator in 2017, where she coordinates research proposals and is focused on addressing the question of the socio-economic impacts of digital fabrication in architecture and construction. 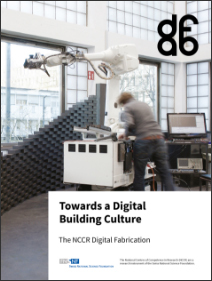 The National Centre of Competence in Research (NCCR) Digital Fabrication is Switzerland’s initiative to lead the development and integration of digital technologies within the field of architecture. Initiated in 2014, the National Centre of Competence in Research (NCCR) Digital Fabrication aims to revolutionise architecture through the seamless combination of digital technologies and physical building processes. Over 40 researchers from six different academic disciplines collaborate to develop ground-breaking technologies for tomorrow’s construction. Their research allows Switzerland to take a leading position within the global field of digital fabrication. The NCCR Digital Fabrication is the first NCCR focused on architecture and construction funded by the Swiss National Science Foundation (SNSF). Initiated at ETH Zurich, it is partnered with EPF Lausanne, Empa and the Bern University of Applied Sciences. To fully leverage the potential of digital fabrication, the following six disciplines intensively cooperate within the NCCR Digital Fabrication: architecture, structural design, materials science, computer science, control systems engineering and robotics.